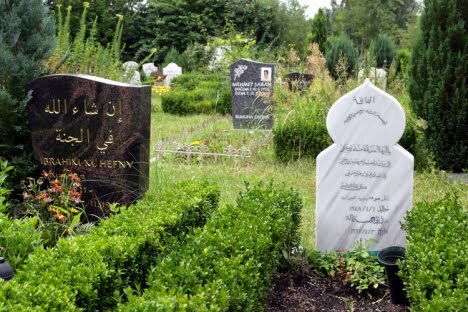 JNN 16 Aug 2014 Helsinki : Muslims in Finland are facing a dilemma regarding the burial of their dead after a fruitless six-year search for land that could be used as a cemetery in the Uusimaa region. Since 2008, Muslims living in the region have been looking for a suitable location for a cemetery, having made do with small ‘Muslim section’ in Lutheran church cemeteries, worldbulletin website reported. “You would certainly think that we would find an area in Uusimaa that could be rezoned for cemetery use,” deputy chair of the Finnish Islamic Council Pia Jardi told Yle Finnish website on Monday. According to Media Reports , over the past six years, Finnish Muslims have submitted enquiries in 16 different cities and towns in the Uusimaa region in southern Finland, yet none of these bids have proven successful. “Perhaps it has to do with a lack of political will. If you even scan web forums they are extremely anti-Muslim,” Jardi said, noting that they have been told that there is a lack of suitable land. “I know of cases where the dead have been buried abroad even though the families couldn’t afford it, because there wasn’t a suitable burial ground in their own town. People’s last wish is to have an Islamic burial,” she added. There are between 40,000 to 45,000 Muslims among Finland’s 5.2 million population, including native Baltic Tatars. This is a Major Problem in the Western World , including Europe , US or Canada , for the People who have immigrated to those Lands , as either No Muslims Cemeteries are available in the areas , where they live , or if even they are available , then the Cost of the Grave and the Burial Services is so High that the Majority of the Muslims are unable to meet it , and thus resultant the Heirs of Dead , Most of the time Opt for the State Burial , and the State Burial in some Places is , even Cremation of the Corpse , due to the Costly Land and Burial Services , while it should be noted that the Cremation of the Corpse is Not allowed in Islam , and a Proper Burial is Obligatory for the Heirs of the Deceased . This entry was posted in Europe, Jafria, United States and tagged Finland, Muslim Cemetery, Muslims, Pia Jardi, southern Finland, Uusimaa region. Bookmark the permalink.